What is dat file? How to open dat files? The dat file extension is also used for one of the embroidery file formats utilized in sewing and stitching machines made by Barudan. Barudan offers embroidery equipment from single to fifty-six-head machines including sequin and chenille, plus embroidery design software. Embird Embroidery Software that can resize, split, edit, display, print and convert embroidery designs. 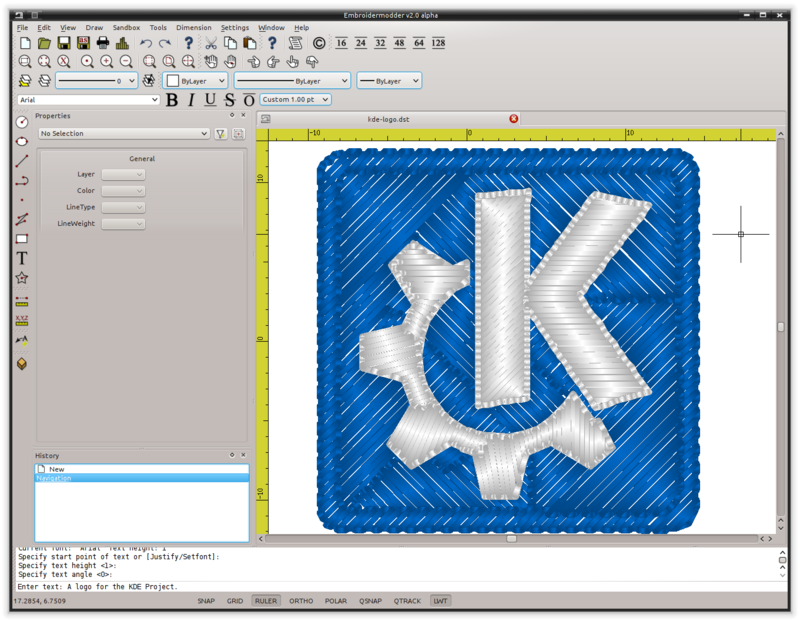 Embroidermodder 2 is the advanced version of the popular free embroidery software that gives users plenty of tools to create awesome stitching designs. Embroidery software might be able to open this DAT format. Some embroidery editors or converters might be able to convert it to another embroidery format. and possible program actions that can be done with the file: like open dat file, edit dat file, convert dat file, view dat file, play dat file etc. (if exist software for corresponding action in File-Extensions.org's database). Click on the tab below to simply browse between the application actions, to quickly get a list of recommended software, which is able to perform the specified software action, such as opening, editing or converting dat files. Programs supporting the exension dat on the main platforms Windows, Mac, Linux or mobile. Click on the link to get more information about listed programs for open dat file action. Programs supporting the exension dat on the main platforms Windows, Mac, Linux or mobile. Click on the link to get more information about Embroidermodder 2 for convert dat file action.